You can book your place at our dedicated booking page here. Payment can be made by credit card, bank transfer, cheque or purchase order. Parking: Please note that parking at the hotel is £12 for 24 hours and £6 for overnight. There is a secure car park which is a 4 minute walk from the hotel which is £8 for 24hrs or £6.75 if pre-booked (Link). ​There are other parking options in Liverpool City Centre. Regular connections can be made via Liverpool Airport to most European destinations. Manchester International Airport is only 40 minutes away. Nearby stations: Liverpool Lime Street is only a 3 minute walk (0.2 mile) from the venue. Liverpool Central is 0.1 mile from the venue. Further information can be found here on the hotel website. Please be aware there are no remaining rooms for Tuesday April 30th directly with the venue. You may be able to find rooms at the venue on alternative booking websites. Please note that parking at the hotel is £12 for 24 hours. There is a secure car park which is a 4 minute walk from the hotel which is £8 for 24hrs or £6.75 if pre-booked (Link). 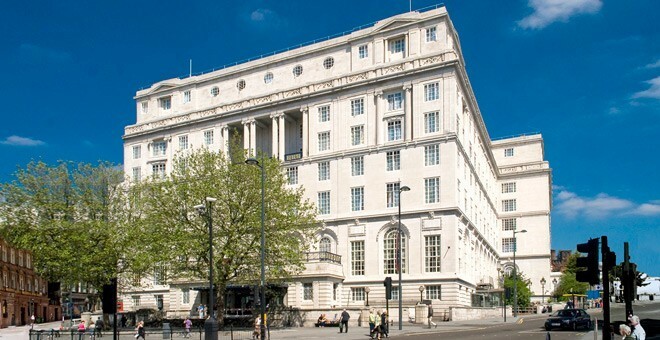 ​The Adelphi is in Liverpool City Centre should you wish to stay somewhere else. If you have booked your hotel room through the RRC, you have breakfast included in your stay. If you have booked through the hotel itself, please check with them to see if breakfast is included. Lunch and refreshments are included in the delegate fee for both one and two day delegates. Dietary requirements should be made known on the booking form. If you have not done this, please email us with the details. You should have chosen a Workshop or Site Visit to attend on your booking form. Your name badge at the conference will tell you which workshop you are booked onto. If you would like to check which one you chose, please check your confirmation email, or contact us. If you have chosen to go on one of the Site Visits, please bring suitable footwear (walking boots or wellies) and waterproofs with you. If you have chosen Site Visit 2 (Working with Natural Processes: Blackbrook Slow the Flow, St Helens) please be advised the steep banks can get muddy and slippy especially following rainfall. Please wear suitable outdoor clothing and robust walking boots. The ground is uneven and steep in parts, please be mindful of slips, trips and falls. Himalayan Balsam is in the area, there are opportunities to clean, check and dry boots at the end of the visit. Posters for the conference need to be size A1 and portrait. If you are attending the conference you can bring your poster along with you on April 30th. If you have submitted a poster but you are not attending the conference, please send it directly to the Britannia Adelphi Hotel no earlier than a week before the conference. Please ensure you clearly attach the information detailed in this label. Unfortunately, the RRC cannot print posters for presenters. Please collect your posters from the RRC stand in the main exhibition room following Session 7, the final session on May 1st. RRC are unable to send posters back to delegates. Two day delegates have the UK River Prize Awards Dinner included in their fee. This will be on the night of April 30th. One day delegates (either day) can also attend the dinner. There is an option on the booking form to add the meal if you wish. (If you have already booked your one day delegate place without including the dinner, but would like to attend the dinner, please email us. You do not need to submit an additional booking form just for the dinner option). If you are interested in becoming a conference sponsor, please contact Nicola here.